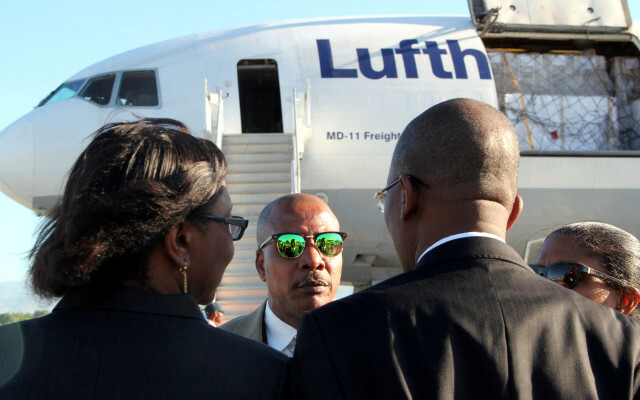 Staged Return of Jean-Bertrand Aristide to Push Haiti Elections. Maryse Narcisse for President? Once again, Jean-Bertrand Aristide’s person is serving as a front to help legitimize Haiti’s pillage by the international community. 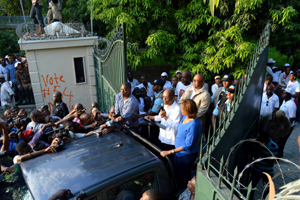 On September 29 and 30, while a group of more than 15 Haitian political parties organized a series of forums to discuss the debacle of the Haitian elections and conclude that they should be annulled, the Fanmi Lavalas party organized a conflicting series of activities that culminated with Mr. Aristide’s first appearance in four years. After all the Haitian protests, all the poor who paid with their lives for their calls for Mr. Aristide’s return, he has kept silent during the four years since he came back to Haiti, but he found it appropriate to appear in public for the first time to support the presidential candidacy of Maryse Narcisse in the elections. According to Radio Kiskeya, Mme Narcisse is not only a former Minister of Public Health but also a former employee of the United States Agency for International Development (USAID). Haiti has been entirely without a government since Michel Martelly replaced, by presidential decree, every elected local judge and executive (governor, mayor, police commissioner, etc.) with his own appointees starting in 2012, and he allowed the parliament to expire on January 12, 2015 by failing to hold two rounds of elections. The current project for Haiti, which is certainly impossible, is to elect all of its government, federal and local, in slightly more than four months, specifically between August 9 and December 27, 2015. So far, the elections have been a disaster. I have related the details of this elsewhere and will only mention here that the first-round legislative elections on August 9 excluded several major cities. Even by official estimates, this exercise drew no more than 8 percent of the electorate in the greater Port-au-Prince area, where about 40 percent of the population lives. In the end, only 8 out 119 candidates for the Lower House and 2 out 20 candidates for the Senate were elected. Most of these individuals were connected to either Michel Martelly’s party or the coup government that had succeeded Aristide’s removal in 2004. The unofficial estimates are much worse. Haiti’s presidential candidates have paraded themselves in the US and Haiti as if the position of President of the Republic is the only one being filled. It is important to keep in mind that on October 25 the country is expected to hold, not only the first round of its presidential elections but also the second round of its legislative elections and its municipal elections, all of which are certain to be disastrous. The risk that the mess in Haiti might explode into a major revolt during Hillary Clinton’s election campaign is so high that it has led the US State Department to take a quite active interest in recent weeks in the Haitian elections. Presidential candidates have debated each other at George Washington University, as if the State Department and Haitian diaspora would elect them. Secretary of State John Kerry has held an audience in Washington DC with Evans Paul, whom Martelly decreed last December 25 to be prime minister, almost as a Christmas gift to the US; Kerry is scheduled to visit Haiti on October 6. Kenneth Merten, who was deputy secretary to Hillary Clinton, while she was secretary of state, and the US ambassador to Haiti during the 2010 elections, has returned, presumably to teach Haitians another lesson on democracy. 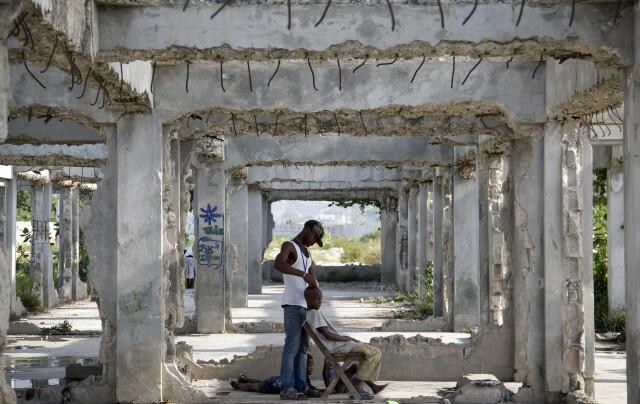 It is ironic that the United States, which continued to be a slave-owning country for 59 years after Haiti became a republic of self-emancipated slaves, can pretend to instruct Haitians in matters pertaining to democracy and human rights. 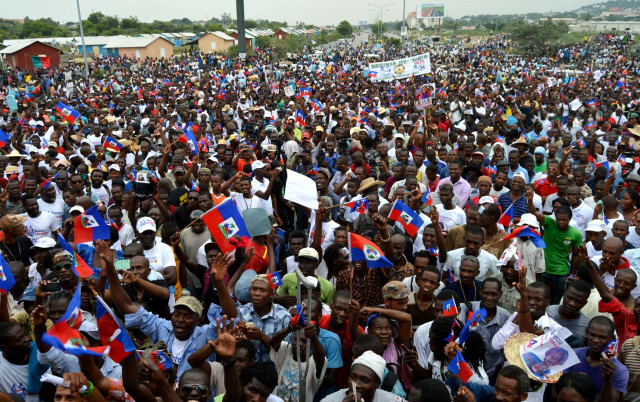 Haitians understand the profound insult of these sham elections to their aspirations for a democratic society. An Interim Electoral Council (Conseil Electoral Provisoire, CEP) is in charge of the elections, which have cost more than $50 million. This council is financed by the international community via the United Nations, and it is considered by most Haitians to be corrupt. It has rejected more than 30 percent of the candidates for the Lower House without explanation, and its methods of vote tabulation have been less than transparent. At least 15 major political parties want the CEP to be dissolved and replaced by a transitional government that can properly conduct the elections. CEP Member Nehemy Joseph resigned his post on October 2 and wrote that his respect for the law and regard for each citizen’s vote had brought him to do so. Many Haitians have tired of marching with posters. Unlike the George Washington University affair, attempts to hold a charade of a presidential debate at Haiti’s National University (University d’Etat d’Haiti, UEH) on September 29 were disrupted by students who required that the candidates “demonstrate a requisite minimum of morality and honesty.” At least one presidential rally has been scattered by gunmen. One CEP employee, Wilkenson Bazile, was shot to death on July 5, and a CEP Member, Vijonet Demero, had his home riddled with bullets during the night of September 29. The president has already been chosen, and it is certain to be Mme Narcisse. 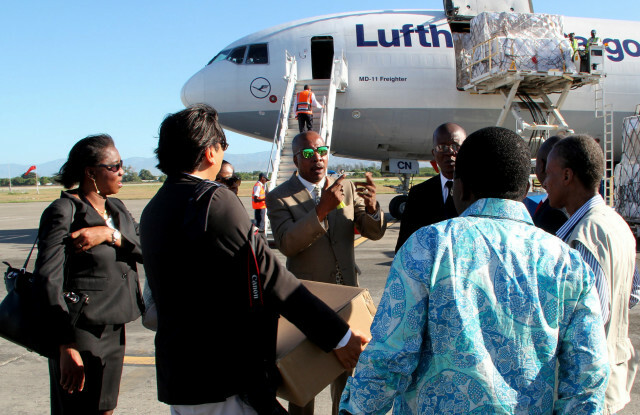 The zeal with which the mainstream US media has reported the involvement of Aristide in the elections to support Narcisse suggests that his participation was staged. In his appearance by the gate of his house, Aristide looked imprisoned. His speech was reported by the Associated Press and Agence France Press earlier than any Haitian newspaper. In fact, it was reported by Fox News earlier than anyone. 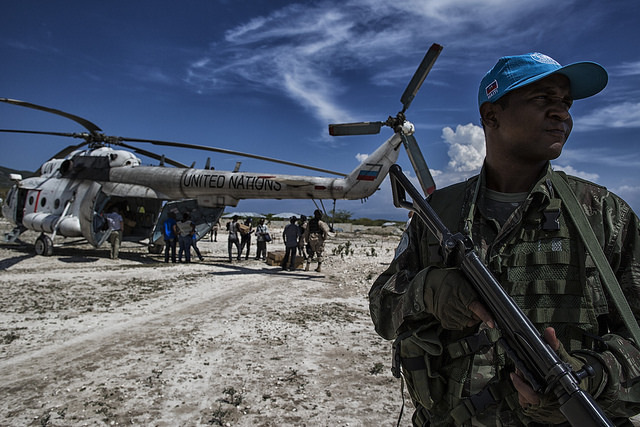 It is disappointing to think that Aristide and Narcisse are part of a subterfuge to persuade the world, particularly the US, that Haiti’s elections are legitimate. This is far from the truth. 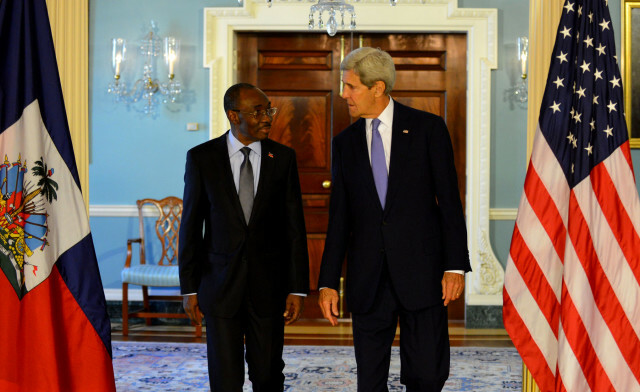 It appears that Mr. Aristide can be switched off and on by the US at any time. This has happened before, when he disappeared abroad for years and then was brought back by Bill Clinton. 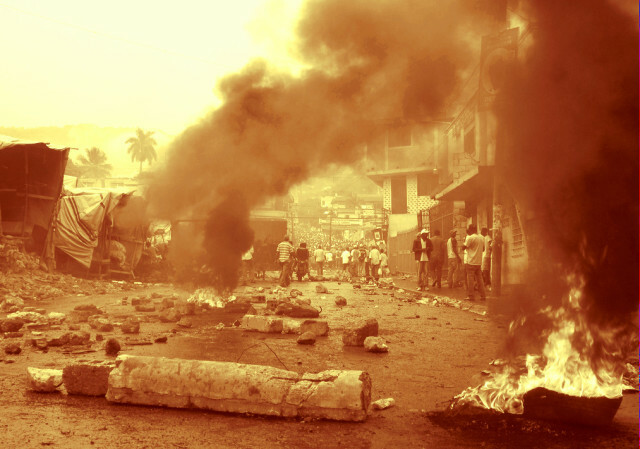 Without the capital of knowledge from his most nationalistic partisans and financial supporters, including people like Antoine Izmery, all of whom have been killed, Aristide has become nothing more than a symbol of the Haitian poor’s failed attempt to retake Haiti by drafting a new Constitution in 1987 and hijacking the presidential elections of 1990. After the 1991 coup, he was returned to Haiti in 1994 in a plexiglass box and kept under guard while Clinton initiated a sale of the country, firstly to his Arkansas backers. Aristide was there to break the ground at the inauguration of Clinton’s first sweatshop in Haiti; he was there too when the tariffs were reduced on rice imports and the country was flooded with subsidized Arkansas rice to destroy Haiti’s agriculture. For decades, he has been there whenever the appeasement of the population and a façade of legitimacy have been needed by those who were set on robbing Haiti. 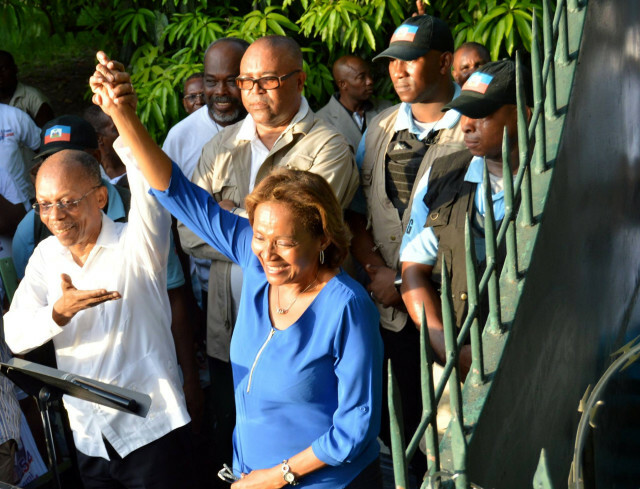 Aristide has the affection and backing of the Haitian poor, who still regard him as being the only major political figure who has spoken for them since Dumarsais Estime in the 1940s. But in his golden cage, and without his most resourceful supporters, Mr. Aristide is nothing but a hollow shell of his former self. 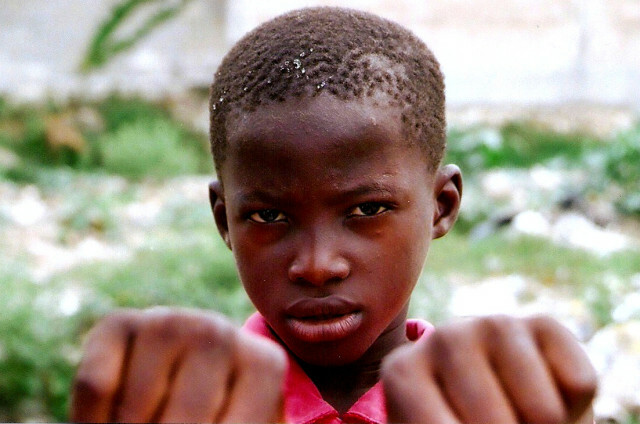 It is time for Haitians to stop putting their hopes and dreams into providential men and women. For more from Dady Chery on the Haitian elections, read We Have Dared to be Free: Haiti’s Struggle Against Occupation, available as a paperback from Amazon and e-book from Kindle.